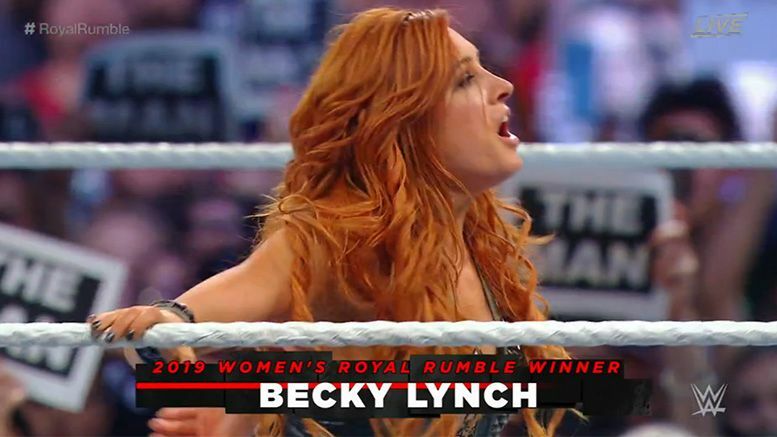 The winner of the 2019 Women’s Royal Rumble is Becky Lynch. It all went down after Lana was unable to enter the match due to an ankle injury suffered on the pre-show and Fit Finlay allowed Becky to take her spot. The end of the match saw Lynch suffer a leg injury at the hands of Nia Jax who was angry about being eliminated, then Charlotte targeted it and went on the attack. Becky and Charlotte then continued to wrestle before Lynch finally knocked her out of the ring.